Do you have a pretty new bundle of fat quarters that you are dying to use? I have that problem all the time! Lucky for all the FQ loving sewists around, I spend a lot of time dreaming up sewing projects that will make the most of a fat quarter. These aren't projects that use just a 10'' square of fabric (although those are fun too! ), but sewing projects that use up most of 1 or more fat quarters. Here is a list of my fat quarter projects that use most of 1 or several (up to a whole bundle) of fat quarters. I started off with 9 and have added lots more to the list since then! I recently discovered that this pattern is perfect for using up a fat quarter... Or make 2 cute dumpling shaped pouches with 2 coordinating FQ's! These are made from 1 fat quarter for the exterior and 1 fat quarter for the interior, with a layer of interfacing in between. Hardly any waste! This adorable shower curtain uses 20-25 fat quarters - so grab that bundle and get started! Are you a quilter? 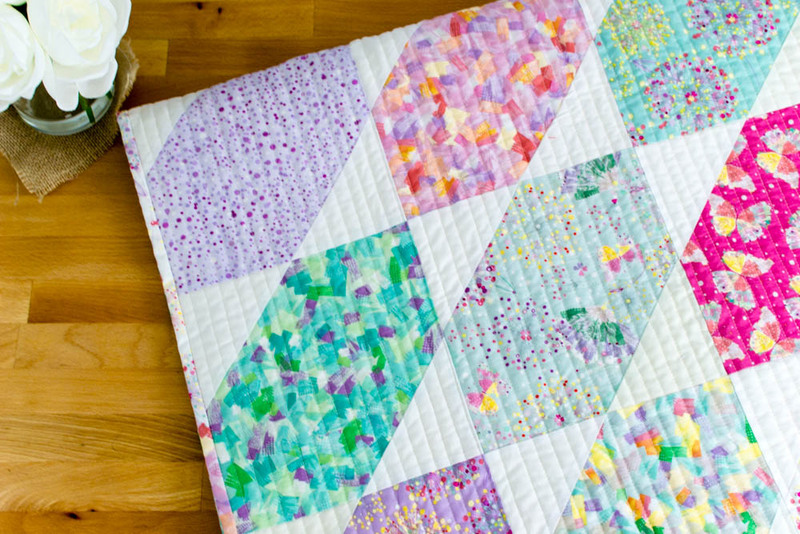 This adorable fat quarter friendly quilt uses 4 fat quarters and some backing fabric. Sweet! This fat quarter friendly pattern takes one fat quarter for the exterior, one for the interior, and some scraps for the handles - get to work! Speaking of bags, let Jennifer Heynen show you how to make some from a fat quarter - this one is genius for the holidays! Did you also know you can make your own kitchen towels from your fabric stash? So pretty! You can also make cloth napkins from fat quarters. This tutorial shows you two different methods. 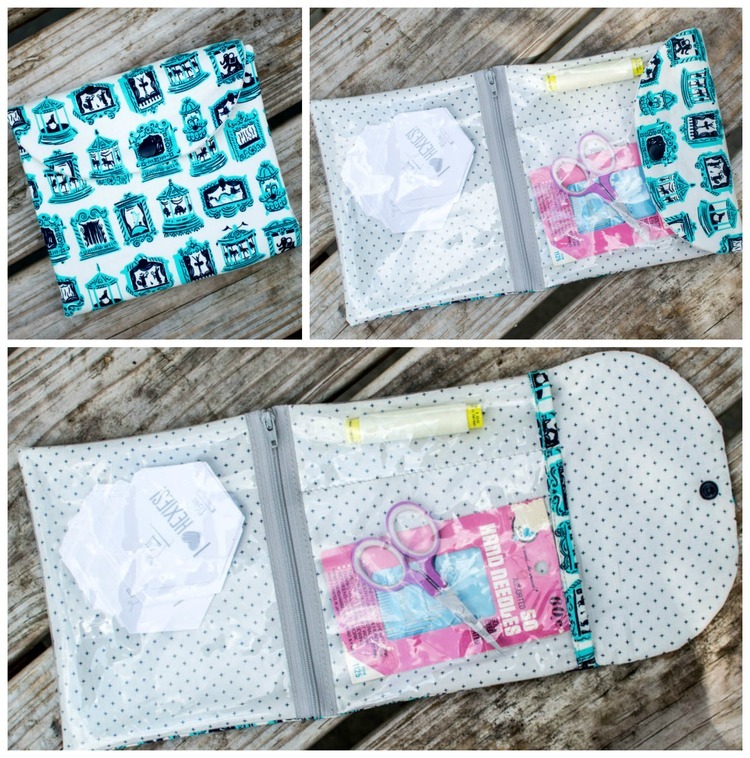 This adorable organizing pouch can be sewn entirely from 1 fat quarter - but I think it's more fun to switch up the fabrics and make 2 at a time! 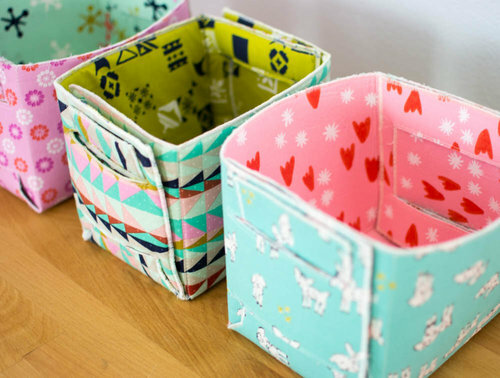 Or sew yourself a beautiful jewelry case with 3 coordinating fat quarters! That pattern is free too, just like all the rest. Perfect for your favorite fat quarter bundle! Have you read all the way to the bottom to hear my secret??? Well I'm very excited to share that my newest book just came out - Crafty Little Things to Sew! It has a ton of projects you can make with fat quarters, so I'm sure your going to love it.